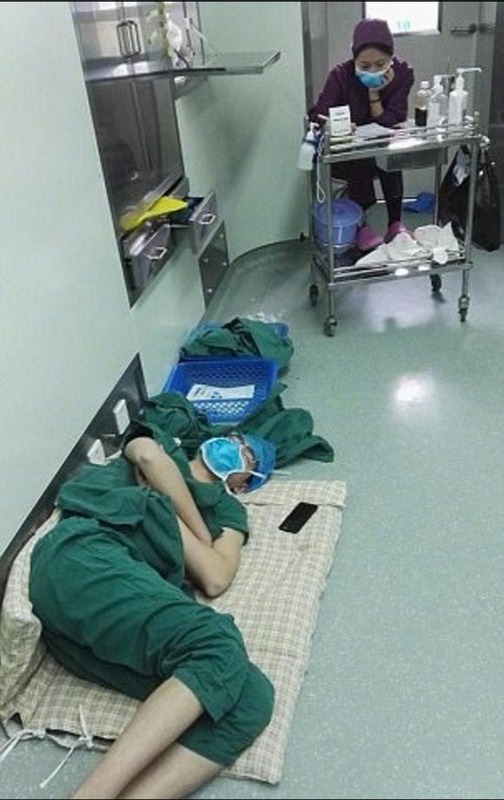 Luo Heng, a dedicated Chinese surgeon, was photographed while literally sleeping on the floor in a uniform, wearing a mask, and his cap. At first, you may think the man is simply idle or lazy. But, let’s not rush to conclusions. This doctor has just finished his shift of 28 amazing hours! 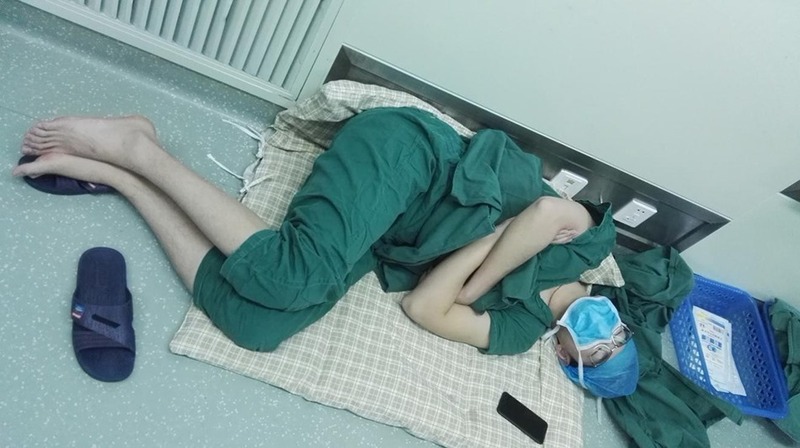 He did five surgeries on various patients. These photos soon went viral on the site Weibo. The opinions were split. 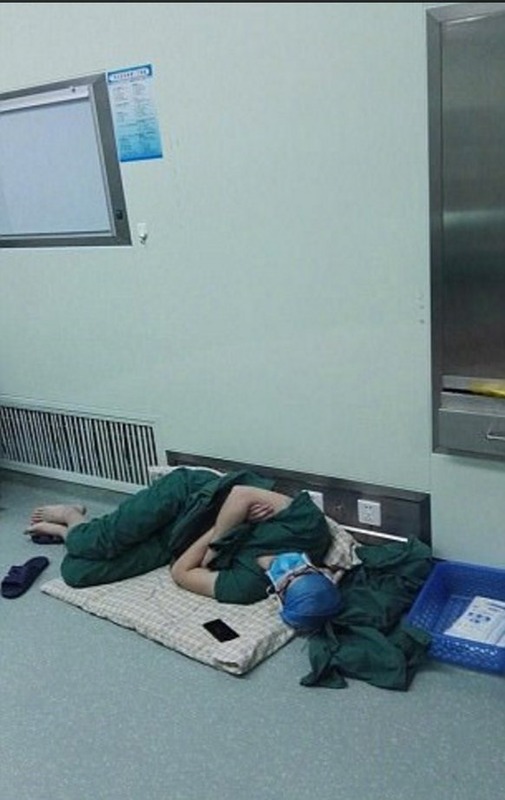 This amazing doctor was working 28 hours and performed 5 surgeries. After the last one, he slept. On the hospital floor! Generally, people praised the doctor for his commitment and devotion. On the other hand, people expressed their concern over the ability of this man to competently perform his job without decent rest. Luo is a symbol of devotion and dedication. This man gives hope that devotion and dedication still exist. Thank you!